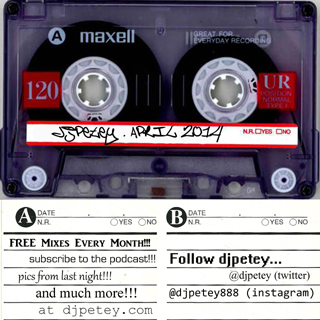 April 2014 Mixtape – DJPetey – FREE DOWNLOAD | DJPetey.com!!! Im putting this out a week early for you Spring Break people! Perfect for your hotel room pre-games, road trips home, laying out by the pools in vegas, etc etc etc. This one is crazy! Ive listened to it a couple times today and Im loving it! 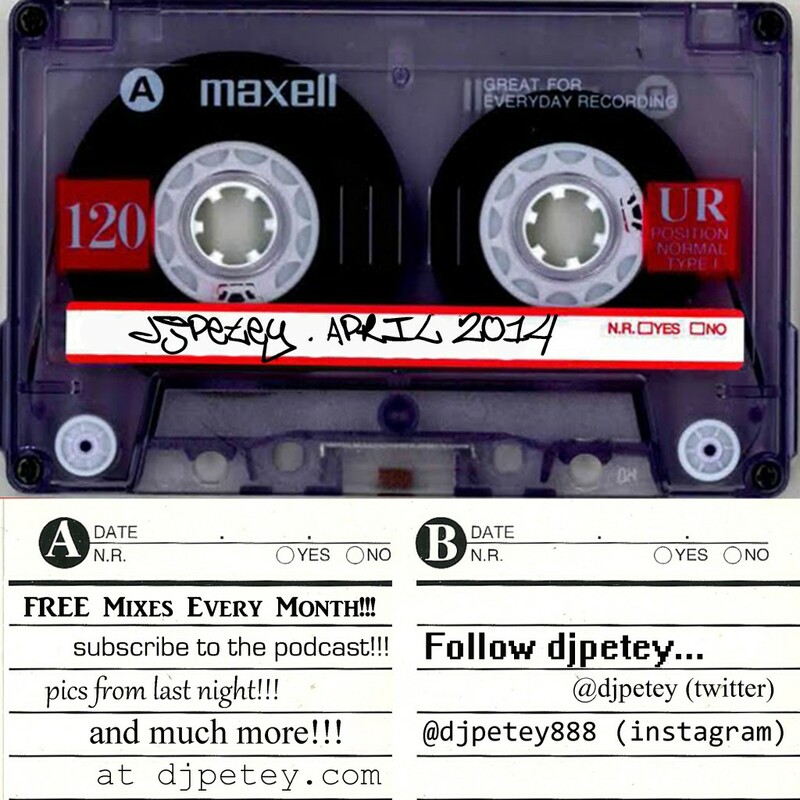 Anyway, as always, if you are a podcast subscriber, the mix shoud be in your itunes now. If youre not, you can click HERE to listen/download now! (right click, save as to download – left click to listen now). Click “read more” below if you wanna check out the track listing. Enjoy the rest of your Spring Break! Welcome to April!